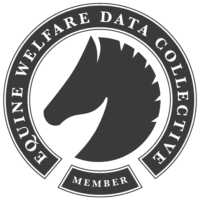 The EWDC was thrilled to be interviewed by the American Veterinary Medical Association (AVMA) in November, 2018. Check out the article here! Helping at-risk horses and those in transition is a true community effort that leans on the support of veterinarians, care takers, rescuers, adopters, law enforcement agencies, and all those invested in the well being of horses, donkeys, and mules. The EWDC is proud to be a part of that effort!